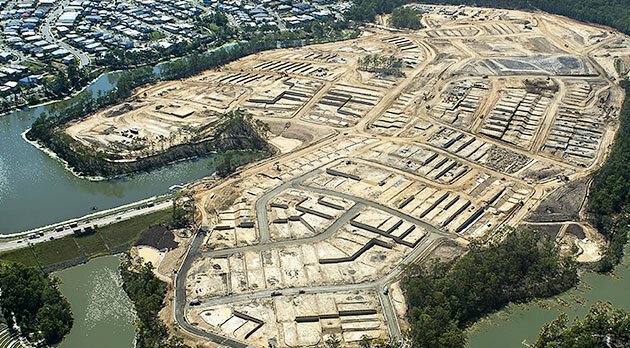 The Peninsula is the last remaining section of the north east portion of Springfield Lakes to be constructed. It is a virtual island constrained by Regatta Lake, Discovery Lake and the conservation zone on the east. Works commenced in August 2015, with a projected construction time of around 14 months. When completed it will provide for 650 new house allotments and associated parks and recreation reserves. The project is broken up into 11 stages of approximately 60 lots in each stage with initial stages constructed concurrently to provide and initial 60% completion by end of June 2016. The remainder of the stages will be released progressively over the following 4 months. The works involve 50ha of clearing and 500,000m3 of earthworks to provide level building pads and roads and services at suitable grades. 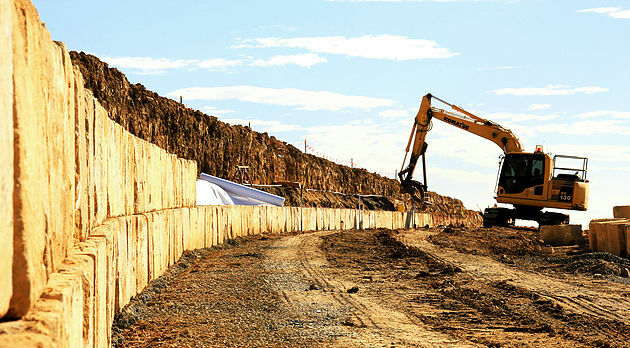 In order to service the site, construction of 2kms of trunk sewer (including 3 tunnel bores of a total of 380m) and 3 trunk water mains of 2kms in total length with 3 different sizes and aerial creek crossings will be undertaken. 8.7km’s of roads varying from flexible asphalt/unbound pavement construction on trunk collectors and access streets to concrete pavements on laneways. 1 – 3 span culvert/bridge structure across the tail end of Regatta Lake.